RanDumber. Out Now. Free Book! Happy St. Pa’Tricks Day! | Enough Talk, More Writing! RanDumber. Out Now. Free Book! Happy St. Pa’Tricks Day! I am quite giddy and also quite tired but both and neither matter. 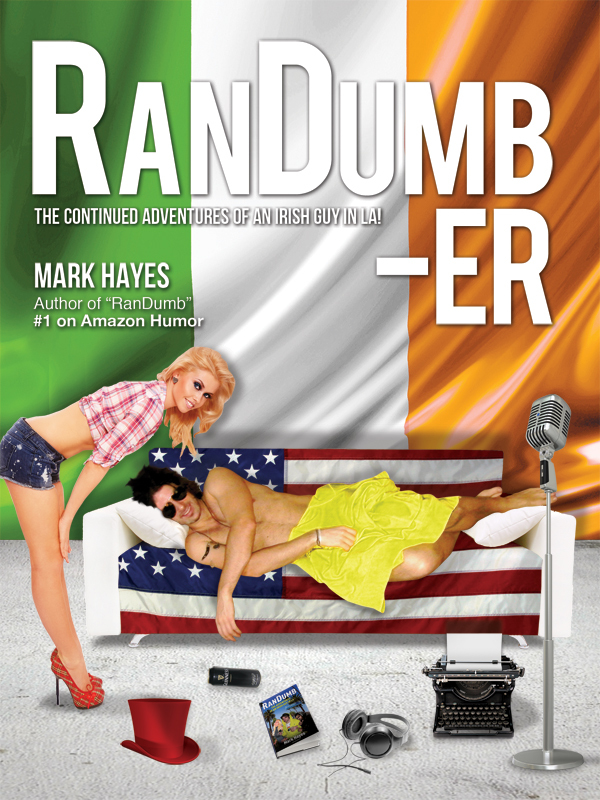 What matters is that RanDumber being available to buy online on Paddy’s Day is now a reality. Oh. Betsy. Dancing! Some day! HAPPY ST. PA’TRICKS HAYES ALL THE WAY!!! As it stands, it’s available to buy on Amazon.com so far. You. Fecking. Beauty. If you would like to get the ball rolling and snap a mighty copy up -> GO HERE! For all the mighty Kindle readers out there -> GO HERE NOW! Kindle folk in the UK -> YEE HUU! 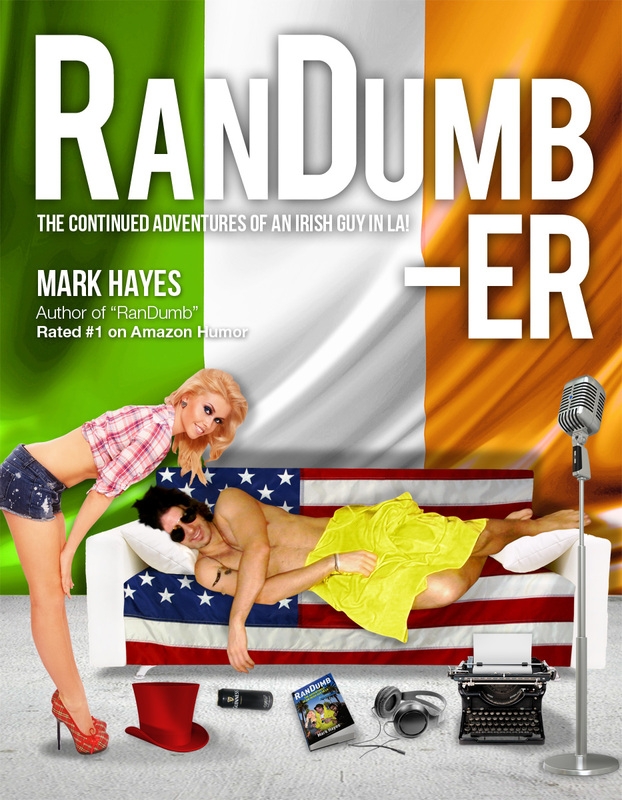 In celebration of such a mighty occasion, RanDumb (rated #1 on Amazon Humor) shall be free for three days! If you would like that for free-> GO HERE! In case you were wondering, a mighty introduction was written by… Well just have a look and see. Duu. For now, I must sleep a bit. Did I tell you I saw Jerry Seinfeld in stand-up a few hours ago. What a show. What a man! Genius. Mighty to see. That is the bar. Could this day be any better?!! I’ll shall be back later with more gibber and a video to boot too. Wuu. Huu. Now go: Pants. Off. Read. On!!!! 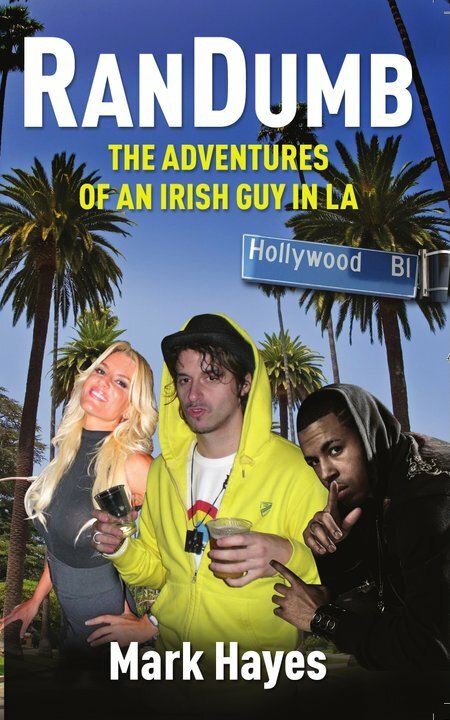 Categories: Book, Hollywood, Ireland, Mark Hayes, Music, Random Ramblings, Randumb Book, RanDumber, Stand-Up, Writing Tags: Amazon, Book Launch, Book Release, Book Two, Celebration, Come On Eileen, Cork, Dexy's Midnight Runners, Happy, Hollywood, Ireland, Jerry Seinfeld, Kool & The Gang, March 16th, March 17th, Mark Hayes, Paddy's Day, Pantages Theater, Randumb, RanDumb-er, Robbie Williams, St. Patricks Day, Stand-Up, The Adventures of an Irish Guy in LA, The Continued Adventures of an Irish Guy in LA! To be true. Read on!